Hi! It's Cupcake! 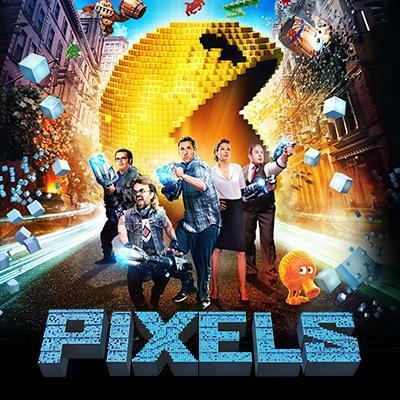 Today, I'm gonna be posting a review on Pixels. I've watched Pixels a few time and it's a really good movie. It's about the main 5 characters in the picture. I forgot their names...... But, it's about these people who are good at gaming from arcades and stuff. So, some of the characters come down and invade Earth. Like Pac-Man, Donkey Kong, and Q*Bert. Q*Bert isn't bad. But the others are. I personally love the movie, because I can be a gamer myself. So, I would rate it 10/10. Just so you know, it's rated PG-13. Roblox in an online game, with many servers. Also, it's free!! One of the favorites of parents. The free stuff. :D One of my favorite servers is Blox Hunt | v2.2.15 . To find it, you can just search Blox Hunt. Blox Hunt is a server that is sort of like hide and seek, accept, the twist is, all hiders are different blocks. For example, you could be a laptop, or a box. It's a really fun server. Another server I like is McDonald's Tycoon! A tycoon, is a thing on Roblox when you make your own place from scratch. With McDonald's Tycoon, you make your own McDonald's. It can be really fun. But, you have to have patience. You also have to make your own money. And, It takes a while at first to get $100 in it. So, ya' just gotta have patience. You have to have a lot of patience with tycoons all in general. On most servers, there is free chat. So, if you're a kid, and you want to play Roblox, please ask your parents and tell them there is free chat. Well, that's enough for reviewing right now. Bye! !